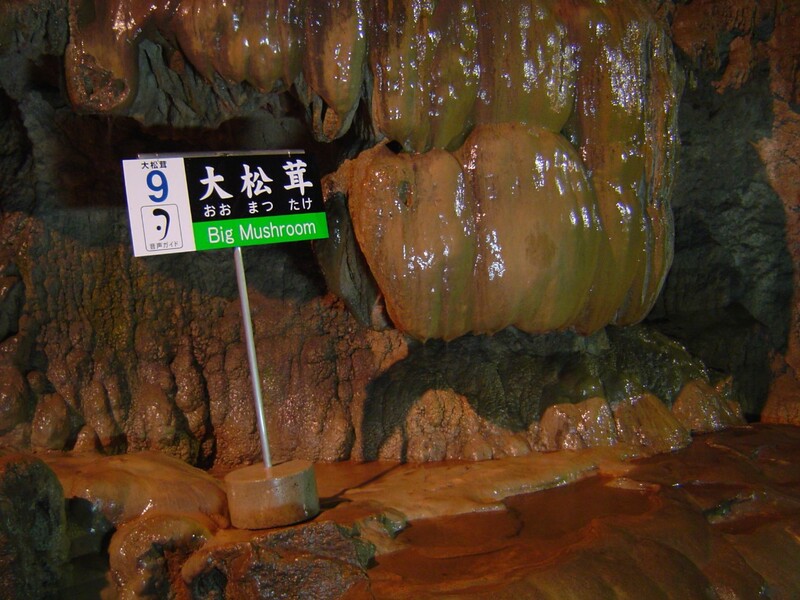 The cave system was named "Akiyoshido" by Crown Prince Showa during his visit in 1926. Before, it was (not so imaginatively) called Taki-ana or waterfall hole. 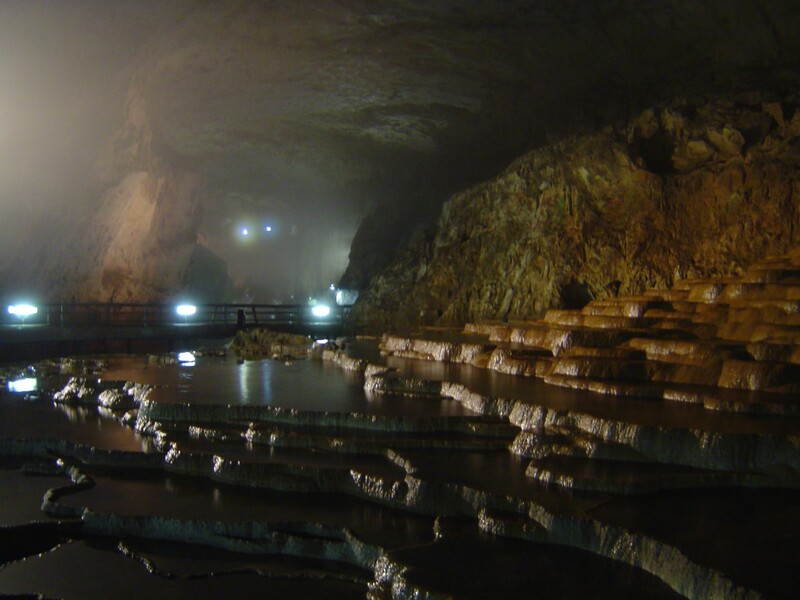 Akiyoshi Cave took over 300,000 years to form and is still slowly being shaped by water flowing out of the karst plateau above. 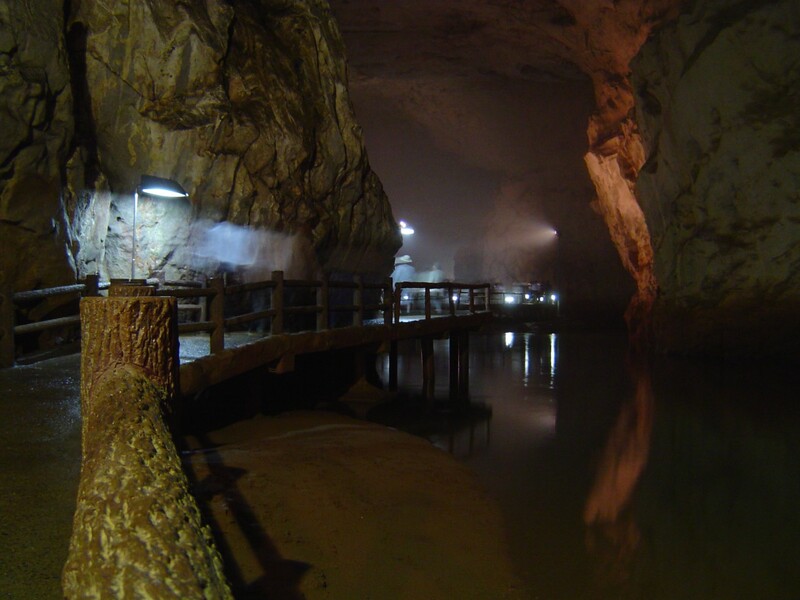 Only a small portion of the cave's estimated 420,000 cubic meters volume and 10 kilometer length is accessible to the public. The main entrance to the cave is at the bottom of the plateau where the river of water following out from the cave exits. Walking through the tall and narrow entrance slit reveals a seemingly impossible sized space which is up to 100 meters wide. Portions are so wide and tall that it ceases to feel like you're in a cave. For that matter, the faux-wood fence on the concrete path and flood lights don't help either. It feels a bit like a cathedral. It is not the most spectacularly beautiful cave in its lower sections for the most part. 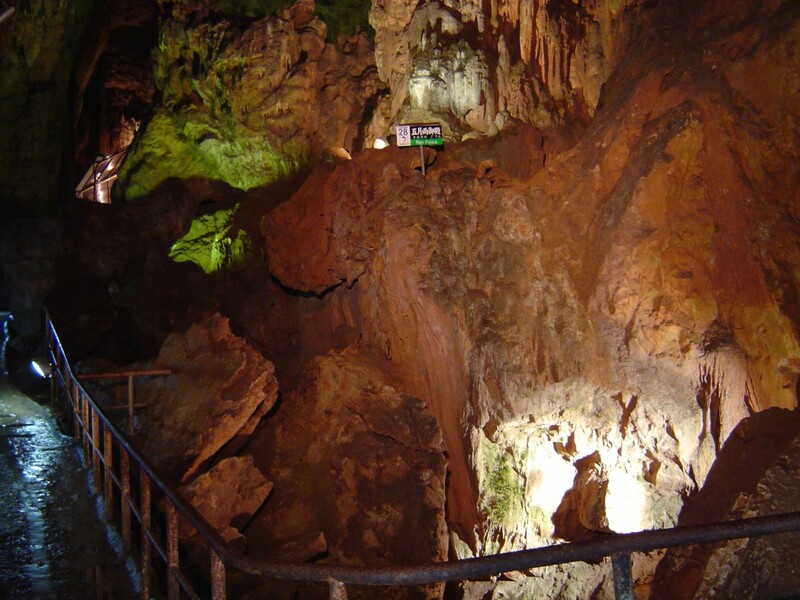 Colored flood lights (using LED lamps now) are used to partly dress up what is really mostly only mottled brown rocks. Its sheer size more than makes up for this and midway through there are a number of interesting distinctive rock formations. 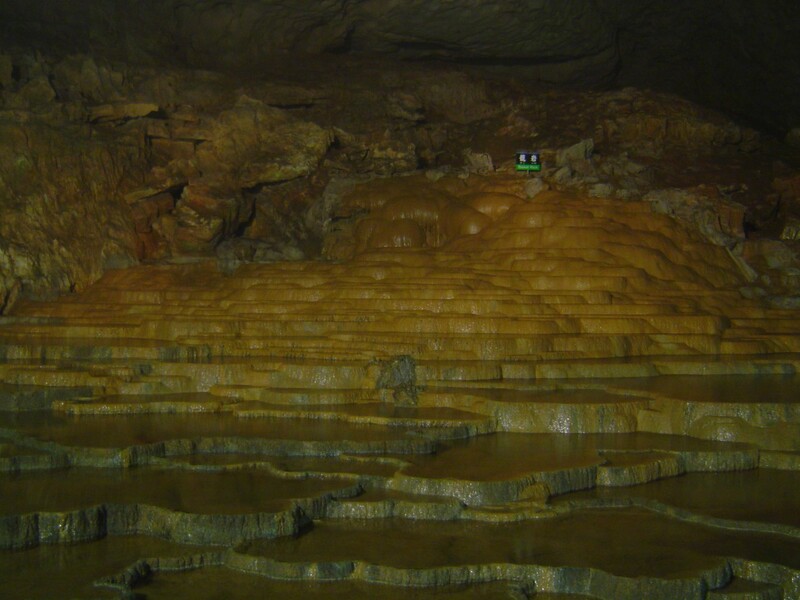 The highest accessible area where the path leaves the underground river packs in a lot more interesting features. 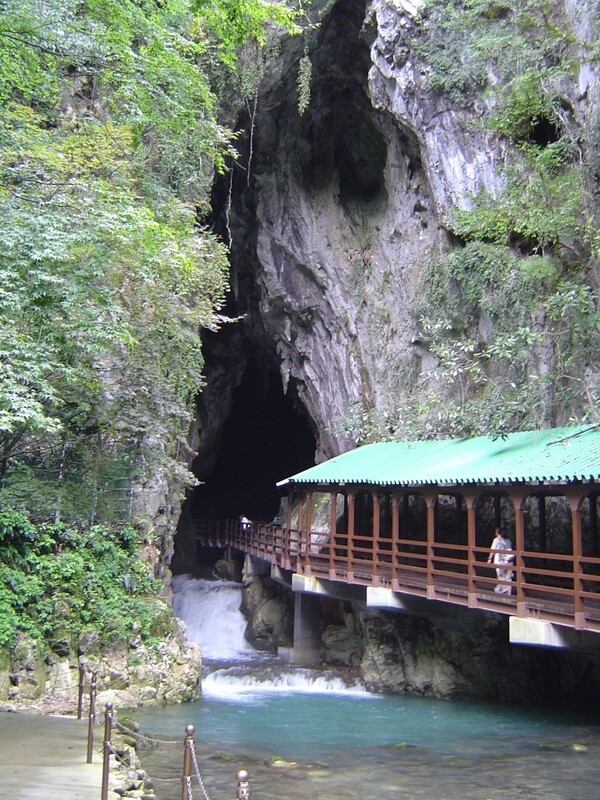 In all, about 1.5 km of cave tunnels can be trekked through. The cave is a popular destination for tour buses and field trips. Since the cave is always 17C (62.6F) it really doesn't matter when you go or what the weather is like outside. 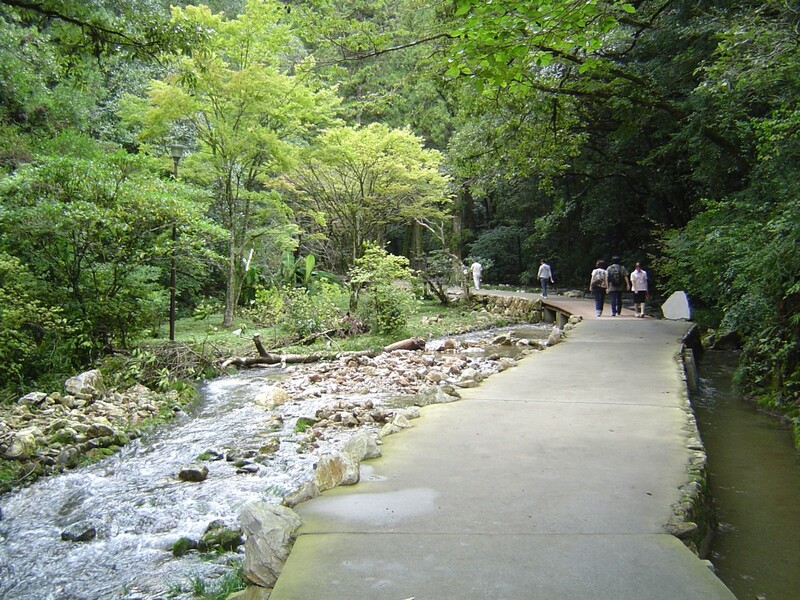 A large number of elementary schools have trips to it. If you go during the week there should be no crowds of people. It is open year round. There is a re-entry fee if you take the elevator up to see the karst landscape. Most signs only have English titles only. 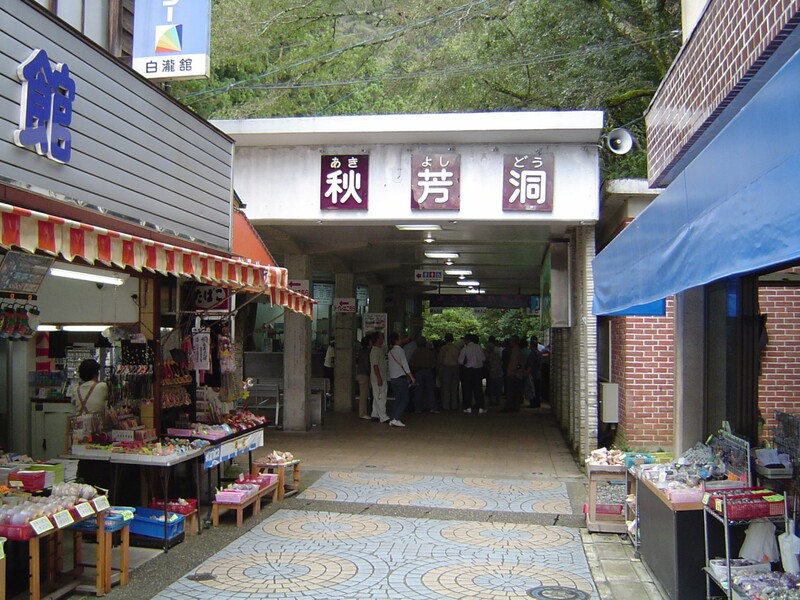 Buses going to the cave entrance leave regularly from both Yamaguchi Station in the city and the shinkansen station, Shin-Yamaguchi. 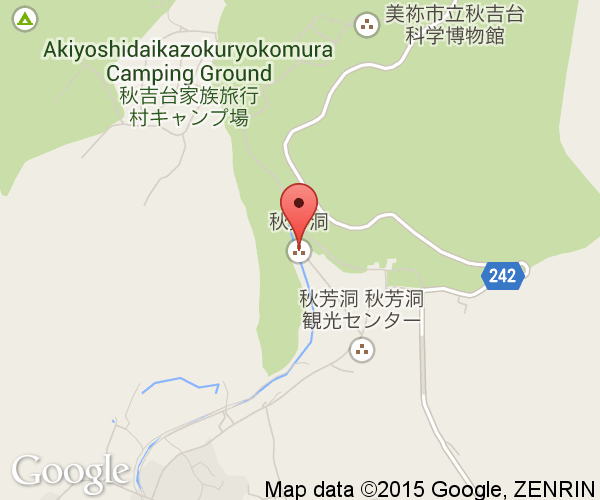 As well, buses leave from Shimonoseki and less frequently from surrounding places. It takes about 1 hour by bus to reach the entrance.